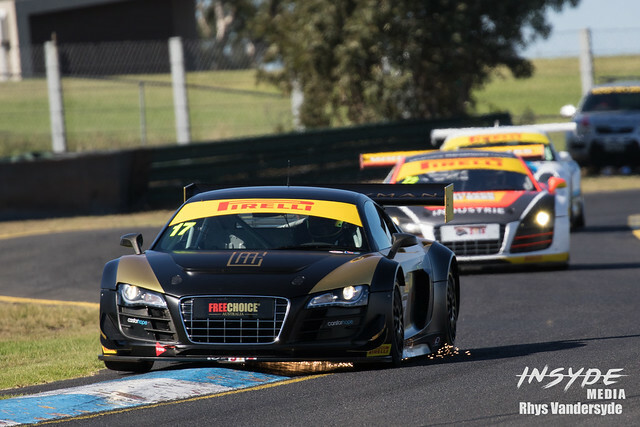 I’ll be straight up, Sandown is not my favourite race track to shoot. Access is limited making it difficult to come up with new and interesting angles to shoot there. So when I got there for this years opening round of the Shannons Nationals I challenged myself to come up with different. Now, don’t get me wrong, Sandown is a good race track. But photographically there are a few limitations placed on photographers. Some of which are for very valid safety reasons, and others are due to the placement of sound barriers in recent years. In any case, that just means I need to step up when I get there to try to come up with new interesting shots. Challenge Accepted! One of the good things about Sandown is that it isn’t just a motorsport venue. It’s also a horse racing venue much like Pukekohe in New Zealand. Which means there are meticulously prepared gardens, many of which with flowers, unlike most of the other venues I visit during the year. Now the trick was to find a way to use those flowers to make an awesome photo. I ended up trying a few different things, but the angles weren’t really working for me. 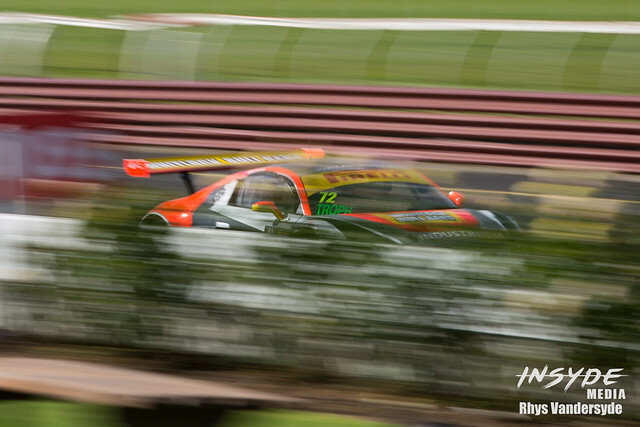 In the end the shot that stood out to me was this 1/50th pan through the flowers of one of the Australian GT Trophy series cars. 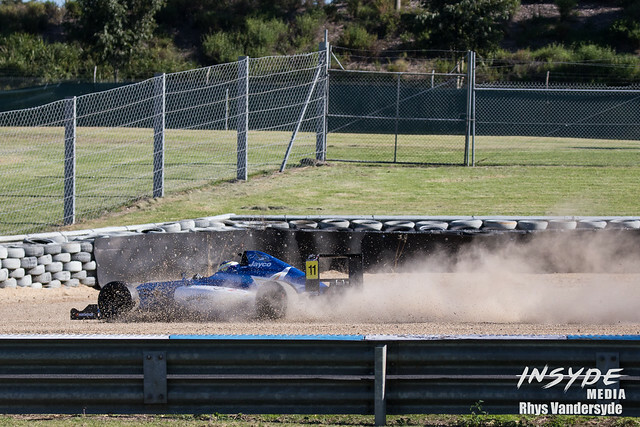 Panning at 1/50th is difficult to get sharp as it is, particularly at one of fastest sections of the circuit. Add objects into the foreground, and you’ve really got yourself a challenge. This what I ended up with, and I’m quite happy with the outcome. Now to come up with something new when the Supercars visit in September. 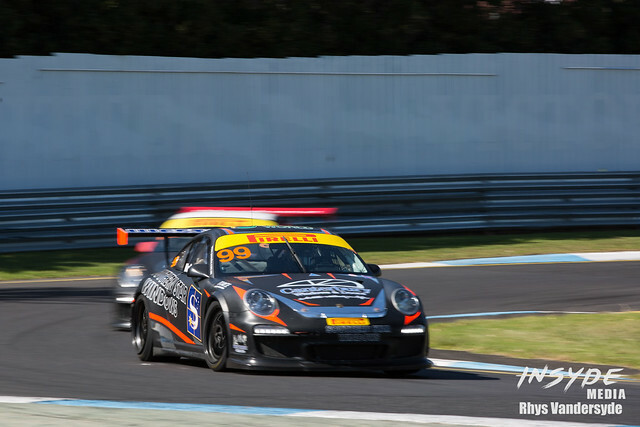 Here are a couple more of my favourites from the opening round of the Shannons Nationals at Sandown Raceway. You can find a few more over at InSyde Media. That wraps up my first trip to Sandown for the year. My next stop will be Perth for the fourth round of the Virgin Australia Supercars. Make sure you keep an eye on my social media to find out which events I’ll be covering next: Facebook, Twitter and Instagram. If you’d like to find out more about my motorsport photography and media services for the rest of the 2017 motorsport season head on over to InSyde Media.